$38.99 per pair List: $65.00, You Save: $26.01! 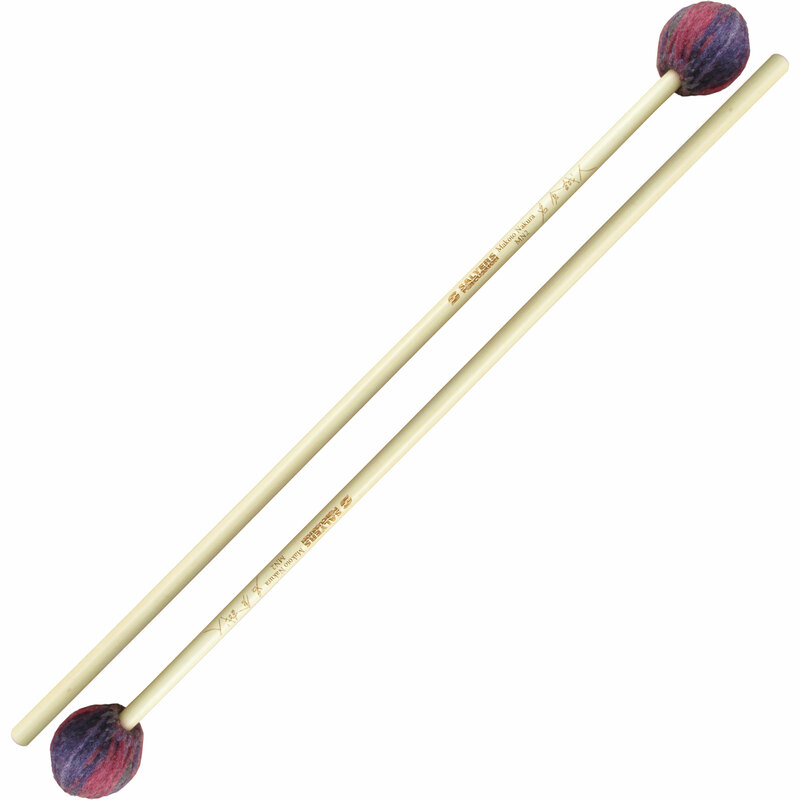 Salyers Percussion Makoto Nakura Marimba/Vibraphone Mallets are equally usable on both instruments, made with flexible rattan shafts that allow for vibe mallet dampening techniques. 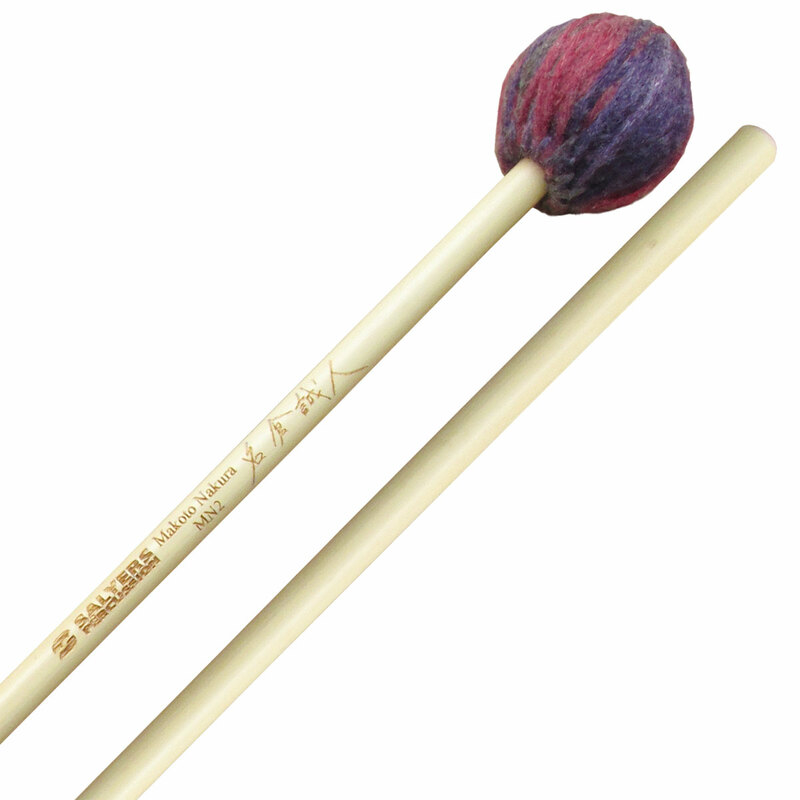 They're all wrapped with yarn, each model in a distinctively different color so you can easily tell which one is which. These are designed for the lower half of the keyboards, producing warm legato tones with just enough articulation to hear rhythmic content down low. They're wrapped in a blue/red blended yarn.